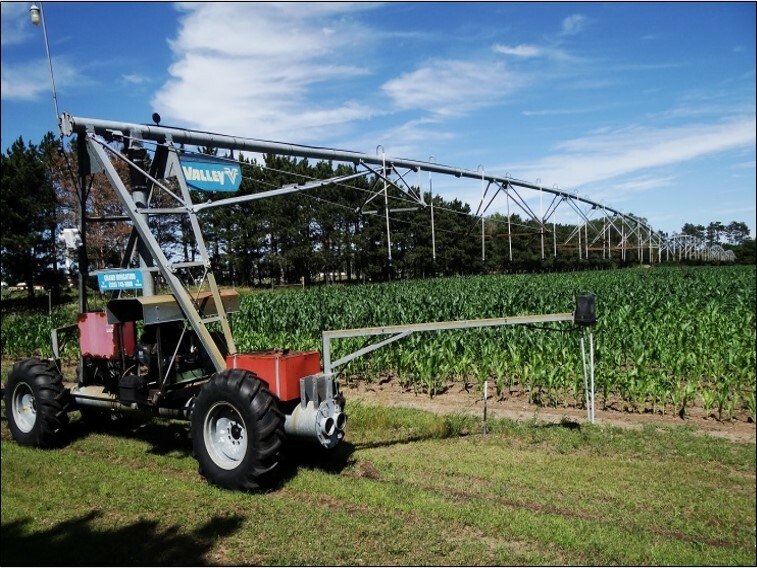 Linear irrigation system used for the study at Becker, MN. Photo from Tamás Varga. At research locations in Waseca and Becker, MN, advanced nutrient management paired with intensified agronomic management increased corn grain yield by 22 and 28 percent, respectively, compared to standard practices. The economically optimal combination of practices varied with location and year. To read the full report, visit: https://z.umn.edu/2wcv. 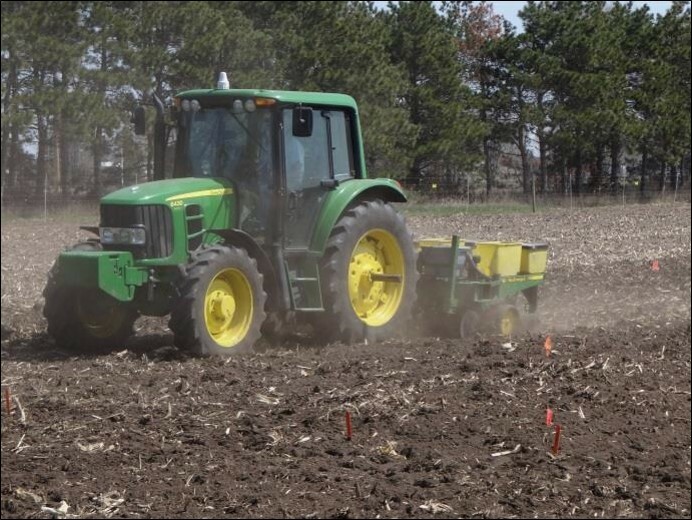 Planting plots at Becker, MN with customized planter. Photo from Tamás Varga.